You are going to LOVE this modern craftsman style home resting on over 3 acres with a detached two-car garage, and a great barn with water and electric surrounded by a vast level field. Enjoy sweeping views of the Shawangunk Mountain Ridge as you travel to this wonderful home located in the heart of the Hudson Valley Apple Trail. This two story retreat with 2 bedrooms and 2.5 baths has an open floor plan, exposed beams, and incredibly tasteful upgrades throughout. You'll be charmed by the random width white oak floors by Chambers & Sons; Ann Sacks shower and radiant-floor slate, a soapstone vanity and a Verde Karzai marble vanity. The living room has a Norwegian Scan wood-burning zero clearance stove and large picture windows overlooking the view. The kitchen has custom cabinets with custom pulls, granite countertops, and a Viking Stove. The master bedroom plus bath is up a set of floating stairs. A bedroom on the first floor is in another wing of the house with its very own entrance that provides easily accessibility for a guest or tenant. The deck is a great place to hang out, with seasonal mountain views. Just 5 miles to the center of historic New Paltz and the Thruway, and just 1.5 hours to NYC. 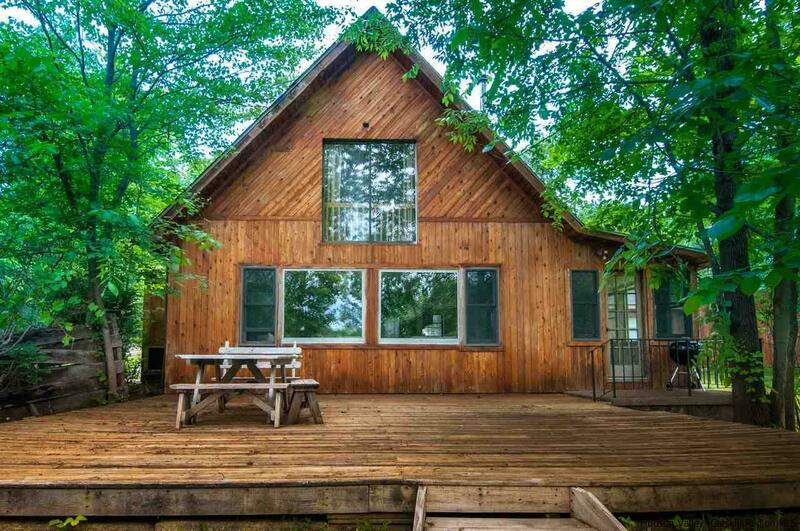 This home is surrounded by so many incredible outdoor opportunities, including Minnewaska State Park and Mohonk Preserve.